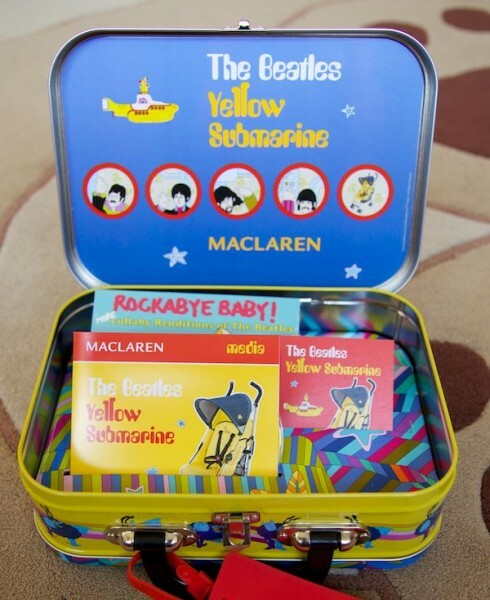 I got this really fun little lunch box media kit in the mail last week and was really excited to see Maclaren is launching a new Yellow Submarine Buggy next month. Maclaren has done other high-end collaborations with designers like Lulu Guinness, Juicy Couture and Kate Spade and now they are moving from fashion to musicians. I am loving this new design as it’s not just another dull stroller to hit the market. There is no missing this gorgeous yellow buggy when out and about. Inspired by The Beatles’ Yellow Submarine animated film, with artwork to boot, the stroller has a sunny yellow seat, reversible psychedelic print liner, contrasting denim hood with embroidered image and bubble print rain cover. 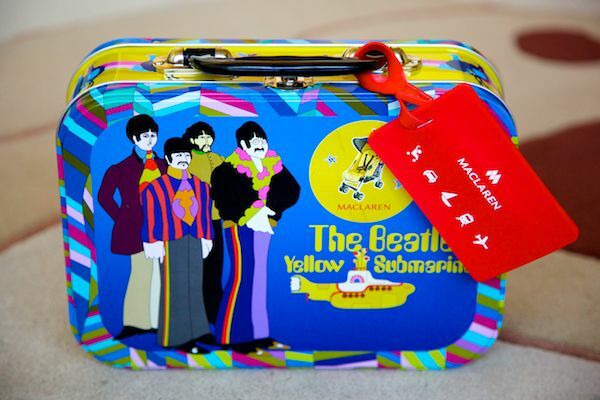 You can get The Beatles Yellow Submarine foot muff for an additional cost to keep those little tootsies warm in winter. 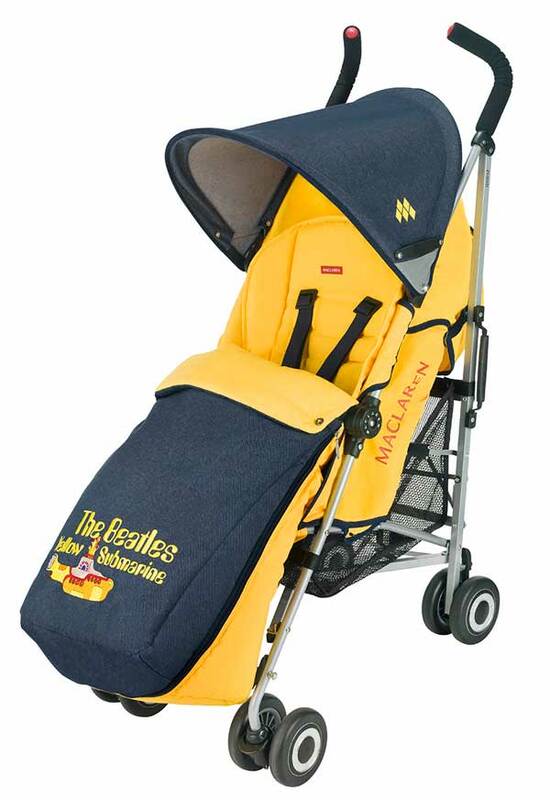 The Yellow Submarine Buggy is built onto the Quest frame and comes with Maclaren’s Lifetime Warranty. It will be available in the USA or from Maclaren from September for US$280.